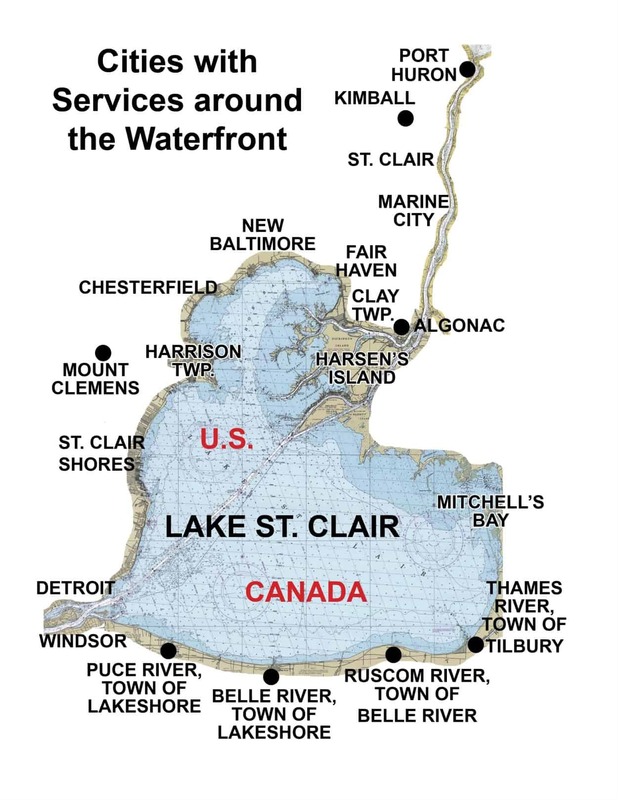 Boating & Marine Service Directory for Lake St. Clair Area, Marinas & Boat Storage around Lake St. Clair, Restaurants around Lake St. Clair, Restaurants, Weddings, Camping & Vacation Rentals Lake St. Clair, Services Algonac / Clay Twp. Live Music! Great Service! Decker's Landing serves chicken, fresh salads, grilled mahi tacos, huge loaded burgers, wraps, nachos, and more! Enjoy yourself dining inside or outside on the Decker's Landing restaurant deck on the North Channel & watch the boats go by on the busiest "boat road" around Lake St. Clair in Clay Township (Algonac). Decker's Landing is located on the North Channel, just before the entrance into Lake St. Clair. We encourage boats under 25' to please dock inside the marina (at the right hand side of the restaurant). You'll find it easier to dock without the North Channel current, and there are several docks easier for access to smaller boats. Boats over 25' may use the several docks in front and along side the left hand side of the restaurant. Summer Entertainment: Bands Friday/Saturday 8pm and Sunday 3-7pm. Watch our Facebook page for detailed band & party plans along the North Channel waterfront! We are also a marina! Store your boat here at Decker's for the winter with outside storage for $1/foot when you use our winterization and shrink wrap service.